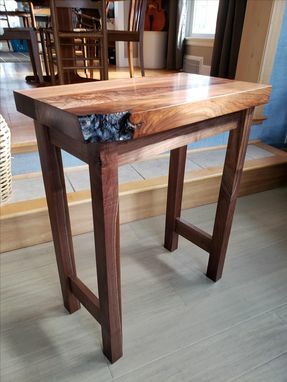 12 1/2" wide x 22" long x 27" high. 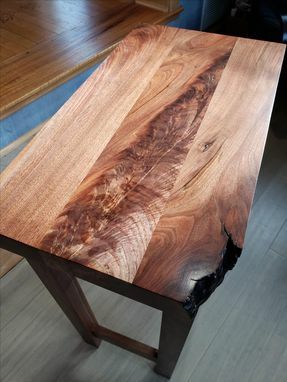 One corner with live edge. 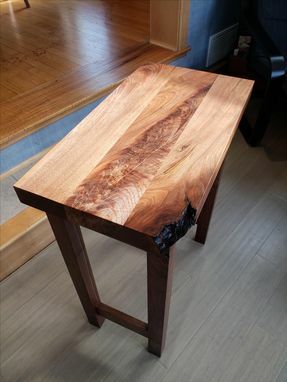 The live edge can vary or may not be needed. This was mainly just the way it worked out. 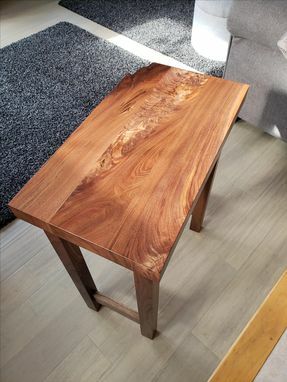 Table was finished with oil uerathane, hand applied. Note wood graining can vary from what is pictured due to what is available at time of order. 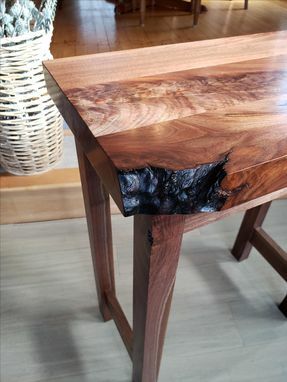 Table can be made from other wood species as well, but could affect cost.